Now that the Pope has come and gone, what are people saying about his visit? Comments run the gamut from well thought out, cogent intelligence reports to wild, irrational sniping. In this week’s boralogue, John ties together journalistic ethics, Pope Francis’s seemingly contradictory comments, and bad decisions based on blood moon predictions. With geopolitical crises looming on our horizon, you will need accurate information from an intelligent source. Perhaps from a show that focuses on economics, politics, and religion, right? Wink, wink. In an extended boralogue, John raises a red flag warning on an upcoming crisis in the bond market. He goes on to show relation versus position in regards to statements made by Pope Francis and explains that the Pope is straddling a chasm, with centuries of Church tradition on one side and an attempt to establish relationships on the other. To follow up on the Pope’s visit and to discuss his great straddle, we welcome back to the program Susan Warner (www.israelolivetree.org), Co-Founder of Olive Tree Ministries. She examines the fallout from the UN sustainable development conference and shows that Agenda 2030, Pope Francis’s statements to difference groups, geopolitics in the Middle East, and the future of the United States are all connected. When one right or law trumps another, which one do we obey? 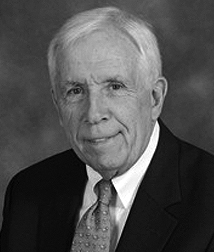 Frank Wolf (www.21wilberforce.org), former U.S. Congressman and Senior Fellow of the 21st Century Wilberforce Initiative, discusses the battle between religious freedom and the politically correct narrative of the day. The church is hunkering down, hoping the storm will pass. Moral decline has resulted, and with increased persecution imminent, the Christian church needs to speak out in favor of religious freedom before it’s too late.